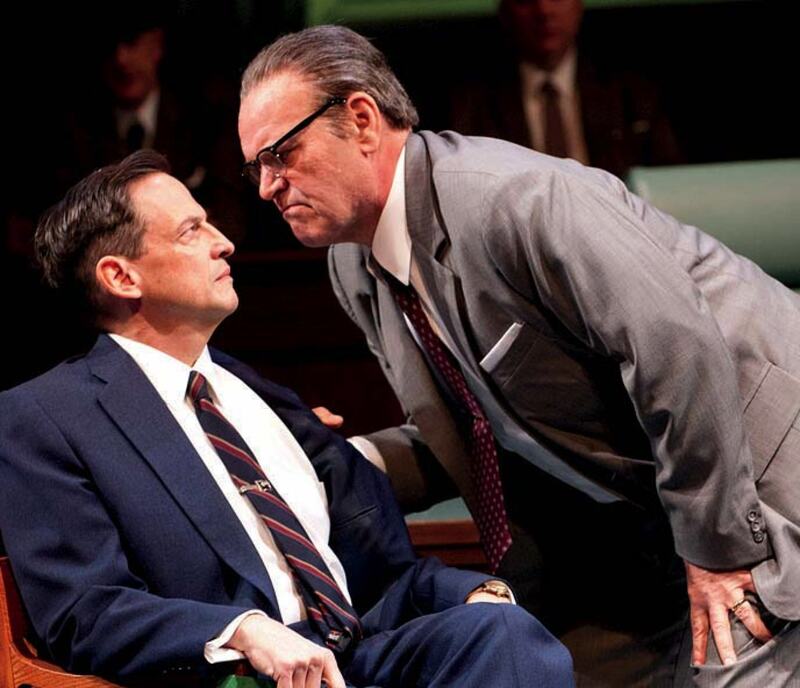 Peter Frechette (left) plays Hubert Humphrey and Jack Willis is Lyndon Johnson in the Tony-winning All the Way. From our archives: a profile of the Cornerstone Theater Company in its early days, from the May-June 1990 issue. Thirty years ago, when Alison Carey ’82 and Bill Rauch ’84 were traveling the country with Cornerstone Theater Company, the ensemble they co-founded after graduating, they would set up shop for months at a time in churches and storefronts and abandoned gymnasiums. In small-town West Virginia or Nevada or North Dakota, they worked with local residents to produce classic plays adapted to the particularities of their communities. In town after town, a similar thing kept happening: the plays were almost always set in the present, but invariably, Carey says, “You’d bump into the past.” A story circle in the Central Valley of California or a storefront in Mississippi would turn into a conversation about how people’s families had ended up there, what traumas and triumphs and fundamental forces had shaped their grandparents and parents and, by extension, themselves. Describing the process, Carey says, “We read and see a lot of plays and find the voice that sparks us.” She and Rauch follow playwrights from year to year, “and when we are moved by someone’s work and they seem to bring something new, we call them up.” Some arrive with ideas, though not with fixed plans or written scripts (“We want them to start from scratch”) and then the real work begins. Carey works with playwrights to develop their ideas, and once a year, convenes everyone to talk and think through their works-in-progress together. 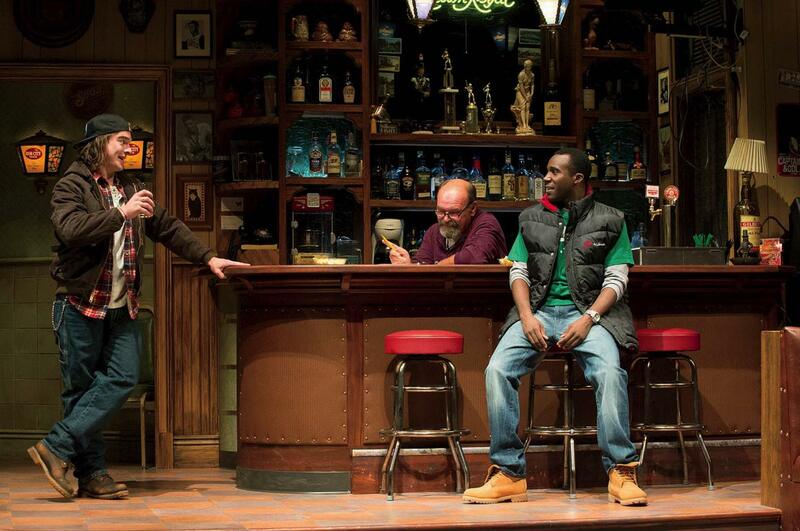 Part of the cycle’s intent is to bring many perspectives to the fore—and to as many places as possible: a few American Revolutions plays are co-commissions with other theater companies (Steppenwolf, Arena Stage, Yale Repertory Theatre) and several have premiered on other stages around the country. The cycle’s first play, American Night: The Ballad of Juan José, a sprawling look at 170 years of history, was adapted by playwright Richard Montoya into a version for secondary-school drama troupes to perform. One of the most successful entries in the cycle is Robert Schenkkan’s Tony Award-winning All the Way, which follows Lyndon B. Johnson’s ascendance during the year after John F. Kennedy’s assassination. Schenkkan’s play is consciously Shakespearean: a grand-scale narrative of leadership and crisis, with LBJ at the center as a flawed, charismatic protagonist, plotting and battling and spouting soliloquies. Schenkkan followed up that American Revolutions project with a sequel, Great Society. It chronicles the hero’s moral downfall as the country descended into Vietnam and racial conflict, and his dreams of ending poverty evaporated. “Robert had to get the rest of the story out,” Carey says, “the triumph and the tragedy.” That’s Shakespearean too. 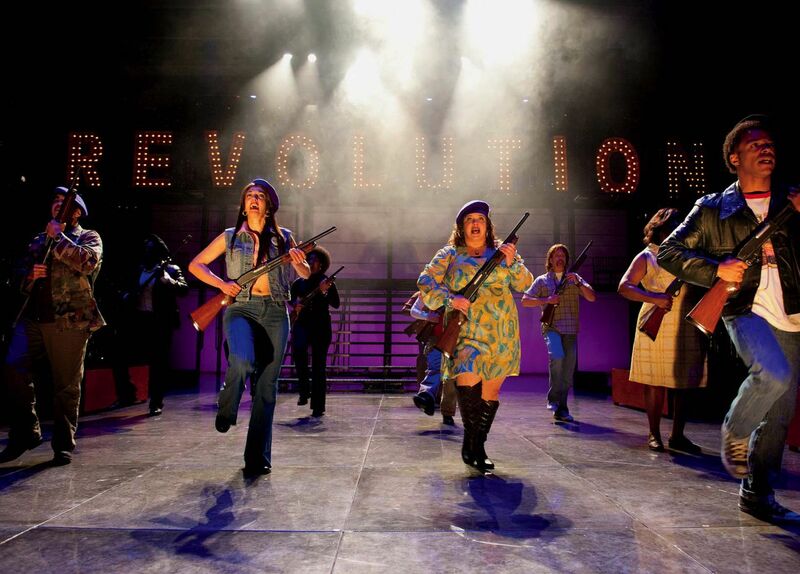 When All the Way premiered at OSF in 2012, it played opposite (in more ways than one) another American Revolutions production, Party People, which explores the legacy of the Black Panthers and the Puerto Rican Young Lords. Written by UNIVERSES, an experimental ensemble anchored by Bronx-reared playwrights Steven Sapp, Mildred Ruiz-Sapp, and William Ruiz, Party People incorporates hip-hop, salsa, and jazz into what Carey calls a “beautiful, intentional, thorough piece” about “maintaining one’s integrity in the face of assault, maintaining one’s sense of self and sense of purpose.” During their research, the playwrights (now OSF’s ensemble-in-residence) interviewed former members of the Black Panthers and the Young Lords, hearing their stories, but also asking permission to tell them. These were people whom the writers had known since childhood, not as abstract figures, but as neighborhood elders—“older warriors,” Carey says. Some former Lords and Panthers came to see the show. So did gold medalist Tommie Smith, one of the American athletes who raised his fist on the Olympic platform in 1968. During the play, he raised his fist again.